Missed our Chapter event in San Francisco? Catch up on the Event Report outlining our Working Groups and ongoing projects. Our friends at Engine Advocacy, Y Combinator, and Techstars are organizing a letter telling the FCC that undermining net neutrality will threaten startups’ ability to innovate and thrive. Speak up in support of the open Internet. Join the Chapter Board as our Treasurer! If you are an experienced accountant/treasurer and are interested in helping our non-profit, we want to hear from you! Interested in AI and its effects on cultural, social, political and economic inclusion? UC Berkeley’s symposium on Inclusive AI will highlight research from leaders in academia, industry, and government. PAWR – an initiative of the National Science Foundation (NSF) – seeks to accelerate fundamental research on wireless communication and networking technologies. Join the livestream for the inaugural Proposers’ Day on April 27 to learn about the program goals. 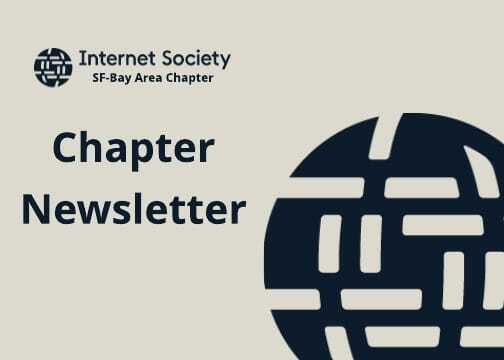 If you are not already a chapter member, make sure you don’t miss out on the latest news and chapter activities by becoming a member. It’s free – sign up here!